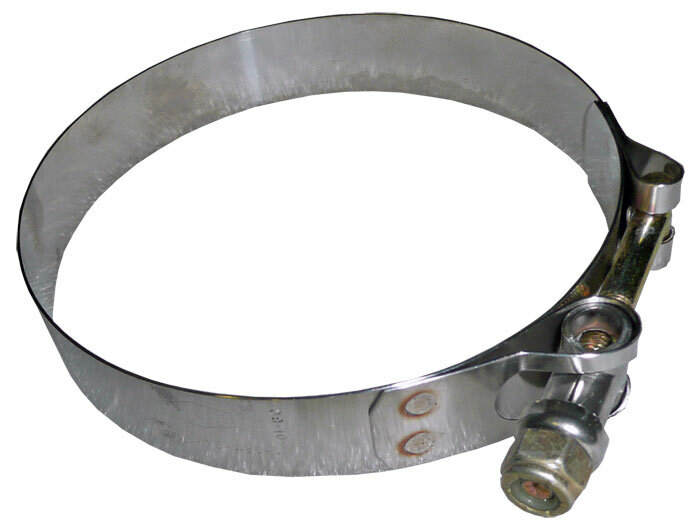 Stainless Steel 4-1/4-inch (10.8 cm) Hose T-Bolt clamp. 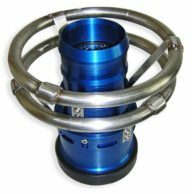 Secure an air start unit hose, scuff cover, or hose-cover assembly to the hose flanges on our straight and Y (Wye) air start couplers. 4″ lav hose attachment to carts and GA waste coupler.